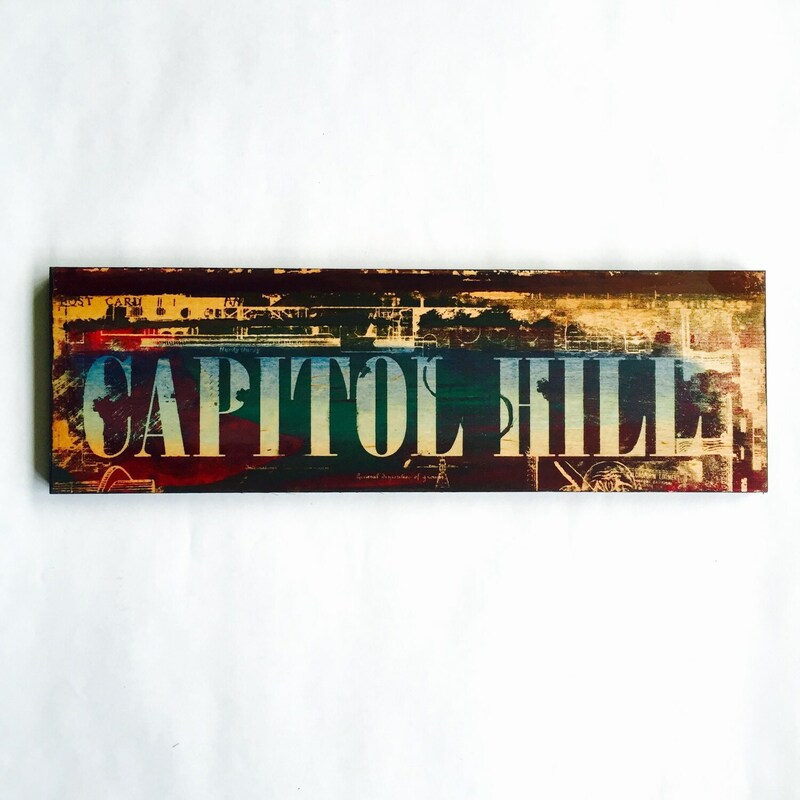 A vibrant wooden sign to celebrate Capitol Hill, DC's quaint and historic community to the East of the Capitol. Silkscreened and handcolored on wood. Ready to hang at approximately 5x12 inches.